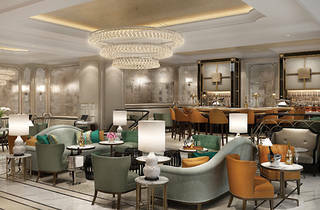 London’s Artesian may have been touted as the ‘world’s best bar’ for two years running now by Drinks International magazine but, despite the pedigree, Hong Kong’s new version of the luxury bar had a relatively understated opening at the recently refurbished Langham hotel in TST. 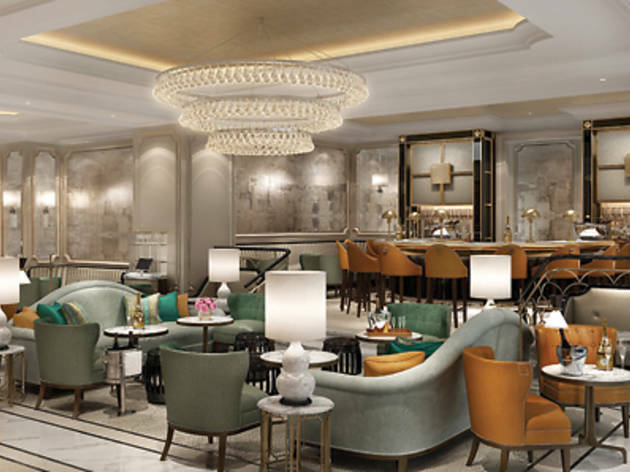 The interior admittedly isn’t as luxurious as its London sister and – though pretty – isn’t all that different from its tearoom neighbour, Palm Court. We enter on a quiet night, with only a loud songstress crooning love songs and a few straggling hotel guests sipping whisky to keep us company. Not exactly ‘world’s best bar’ ambience – but we hope the drinks tell a different story. We’re a little sad there’s only about 10 Artesian classics at the new Langham spot. The famous drinks served in themed skulls or mirrors are nowhere in sight. The bar manager explains that he was trained at the London venue for a week and he recreated what he was able to. Nonetheless, though, the Chelsea Flower Show ($120) and the Paddington ($120) pique our interest. The former arrives in an elegant bell-shaped glass topped with a layer of foam and garnished with a rose petal and a sprig of lavender. The drink goes down smoothly, with a tart front end before the bitters draw out the floral tones of the elderflower liqueur and sherry. The citrusy Paddington, garnished with a curl of grapefruit rind, looks as cute as its namesake bear and even carries a sweet dash of his favourite marmalade. It’s a tasty beverage, anchored with the sharp bite of absinthe at the back end.